University Press of Kentucky, 9780813176376, 194pp. In Amreekiya, author Lena Mahmoud deftly juggles two storylines, alternating between Isra's youth and her current life as a married twentysomething who is torn between cultures and trying to define herself. The chapters chronicle various moments in Isra's narrative, including the volatile relationship of her parents and the trials and joys of forging a partnership with Yusef. Mahmoud also examines Isra's first visit to Palestine, the effects of sexism, how language affects identity, and what it means to have a love that overcomes unbearable pain. 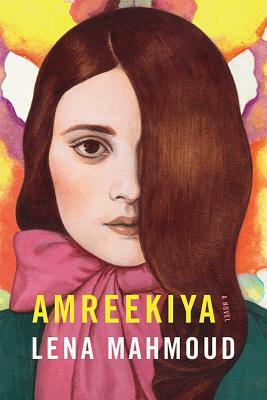 An exploration of womanhood from an underrepresented voice in American literature, Amreekiya is simultaneously unique and relatable. Featuring an authentic array of characters, Mahmoud's first novel is a much-needed story in a divided world. Lena Mahmoud was nominated for Pushcart Prizes for her story "Al Walad" and her essay "The Psyche of a Palestinian-American Writer" and was shortlisted for the OWT Fiction Prize. Her work has appeared or is forthcoming in Sinister Guru, KNOT Magazine, Pulp Literature, Fifth Wednesday Journal, and Sukoon.